Typically built within manufacturing, warehouses, and factory environments, storage mezzanine floors are a free-standing structure, built to withstand substantial loadings for the storage of machinery, palletized goods and racking and shelving systems. Bespoke design, storage mezzanine flooring is built to suit your business application and can be tailored to individual operational requirements. 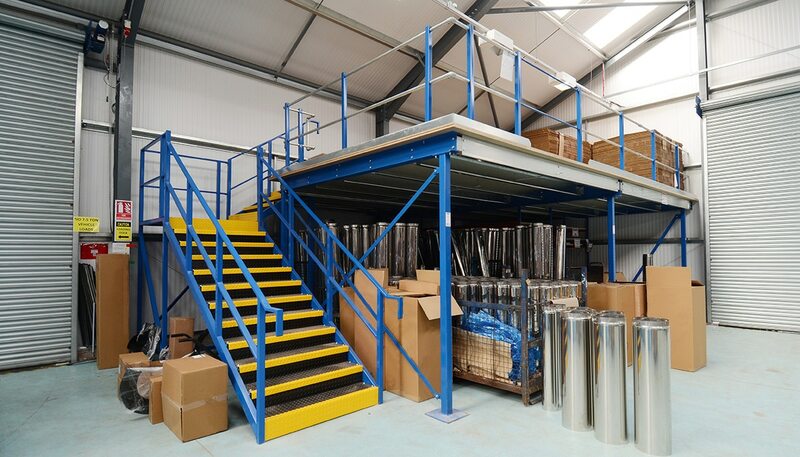 Storage mezzanines typically have a minimum floor loading of 4.8kN/m2, this can be increased to over 10kN/m2 depending on your load requirements. Floors of this design are usually used to accommodate heavy-duty shelving and block stacking of palletised goods etc.